For anyone starting a fitness program or routine, they should consult their doctor first to make sure they are cleared for physical activity. Your first goal and the goal of any personal trainer or training program should be to keep you safe and injury free. Every other goal is secondary to that primary goal of doing yourself no harm. Make sure you properly warm up prior to activity. There are 5 basic exercises or lifts or concepts that are important for beginners. They are the squat, the deadlift, the lunge, a pulling exercise, and a pushing exercise. All of these are compound movements. Meaning instead of isolating parts of your body, you are using your body as one whole unit. Which is ultimately the way your body was engineered to work. 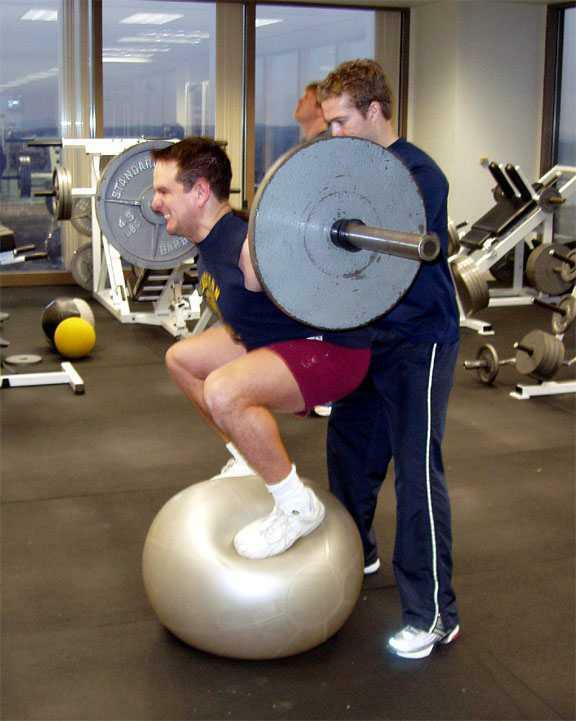 Isolating body parts is a sports specific way of exercising for the sport of body building. For a beginner or someone just looking for fitness and weight loss, compound movements are recommended. From the perspective of toning or weight loss, you will recruit more muscles doing compound exercises as well as increase your metabolic rate (burning calories as some people call it). Think about it in the instance of cardio, would you get more benefit from running up a hill, or standing in place and swinging your arms in a circle? One uses your whole body, one just uses your arms (specifically your shoulders). So then with that same thought, would you gain more benefit sitting down and doing some bicep curls, or holding weights and doing a squat? 1. Out of the 5 exercises I have mentioned, the squat is the most important. The idea is simple, we are mimicking something we do every day. The most important act, one of our first acts. The attempt to lift ourselves off of the ground, sitting and standing. Something we are designed to do. You look at a lot of cultures and they still squat instead of sitting on the ground, and this is completely comfortable for them. It's even how we originally used to go to the bathroom. You look at modern day people, and when they sit or stand up from a chair, they no longer squat. They basically fall down into the chair, and fall forward out of the chair. We need to bring the squat back. If we want to look like our fit ancestors, we have to train like they did. So what's more basic than something we've been doing since we've been around? There are many variations, from behind the back squat, front squat, dumbbell squat, goblet squat, kettlebell squat, overhead squat but for a beginner I recommend the body weight squat. I won't allow any of my clients to have weights until they have mastered the body weight squat. 2. The next exercise is the deadlift. The act of picking something up from the ground. It's roots? We had to hunt and gather right? We picked things off the ground, or hunted things that ran on the ground. Or we needed to pick up tools or pick things up to create tools. Its part of the foundational movements that make us human. It's all about hinging at the hips. With all the back problems people suffer from now, we have lost this ability and we need to bring it back. You look at how bad people's postures are, how rounded their backs get. They don't hinge at the hips, in fact they start bending from the middle of their back. We were born with a S-curved spine for a reason and if you round it out while bending over, under load or constant repetition, something will pull or snap! People because of this will tell you to avoid the deadlift. Well you will deadlift regardless. I guarantee it. While tying your shoes, picking up something off the ground, picking up your child, etc. Would you rather do it without any thought and poor technique? Or correct it and do it under a controlled environment so you become conditioned to a movement you do already? Make sure you master the idea of the hip hinge while maintaining a neutral spine. Look at yourself in the mirror. I use a stick with my clients, they hold it behind their back. One hand behind their head, one hand behind their low back. Throughout the whole movement they have to maintain three points of contact with the stick, at the head, the upper back and the low back. 3. The lunge is next. What else do we do all the time? We walk, we move, we stagger our legs. This is conditioning us to stay balanced and strong in a staggered stance. In all sports, martial arts, dancing, or basically 99% of the time you are up right, you will have one leg in front of the other. It's a safe way to work our balance without all the difficulty of exercises that require us to stand on one foot. But once you get good at the squat and the lunge, single leg exercises would be your next progression/evolution. 4. The pulling exercises. In our past, when we worked, we worked. We were constant pulling things. Pulling ourselves up, pulling carts, pulling ropes, pulling weeds, etc. We are so rounded because we constantly shrug forward, even our shoes make us lean forward. This has become a problem. Pull yourself together! Pull! Correct and align your posture. Whether its the row, a pull up, a pull down, a cable pull, etc. Just pull. 5. The pushing exercises. So what do I mean by that? It's any exercise where you push something away from you. Think about it, what do you do most of the day? You reach for things in front of you like keyboards and cellphones, you push doors open, your shelve something, you lift yourself out of bed, etc. So a pushing exercise can be anything from a push up, bench press, or my favorites, any overhead presses. Pick something up and lift it over your head. Bring that range of movement back and unfreeze your shoulders. We hardly ever lift our arms above our heads anymore as an adult. We stopped doing that once we stopped raising our hands in school. And even in school your arms got burned out raising them so you had to try to hold it up with your other arm or set it on top of your books. Besides the back where do people have the most problems? Shoulder and neck. We have nearly the same design as apes and monkeys. They have no problems raising their arms over their heads, they cling and climb trees all day, and are much stronger than us. Do they have our shoulder and neck issues? No. We were born to move our arms about. They are in a socket after all, designed for full range of motion. I've given you a common sense explanation of why these exercises and routines are important. There are still many of you who are all about the weight loss and will think, well cardio will help me lose more weight. Wrong. If you think about it and go down that train of logic, it is absurd. What burns fat? Does fat burn fat? No. Muscles burn fat! Does cardio build muscles? No. What builds muscles? These compound exercises build muscles. What burns fat? Muscles. What do I do if I want to burn fat? You need to build muscle. These are universal concepts really and there are many variations of all of these exercises. Some things that are general rules, maintain a neutral spine throughout each of these movements. Maintain most of your weight on your heels (except on the lunge where one of your feet will be on the ball of the foot), if because of your heels you can't feel where the weight is on your sole, wear less bulky shoes. Squeeze your glute and engage your core. Breath in and out during effort. Constantly breath, breath like a predator. How do they breath? Deep. Don't breath like prey and get winded and eaten up by these routines. Make sure your knees track your feet. With the squat, deadlift, and lunge: instead of just coming up, think about pushing the ground away. For examples you can find plenty of demonstrations online but better yet because these exercises take time to master, seek out a professional. No not your buddy or your dad who thinks they know a thing or two. A personal trainer, maybe a personal training class or fitness class. 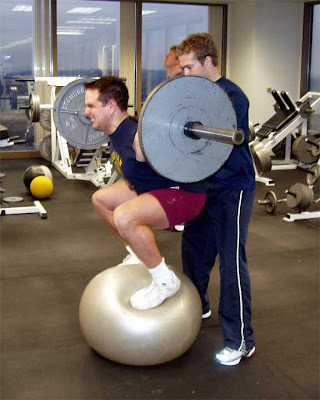 They may be walking around your gym with nothing to do, ask them a question. These moves are simple but you don't treat them with respect and you will get hurt. So get guidance. Sam Y. is a Personal Trainer, Coach, Performane Enhancement Specialist, Corrective Enhancement Specialist, and holds multiple certifications. He is also an avid Martial Artist, training in Brazilian Jiu Jitsu, Kickboxing, Boxing, and MMA. He is also the author of the popular fitness blog All Out Effort as well as the popular martial arts blog Inner BJJ. You can find him in the Los Angeles area personal training his clients, or at home annoying his wife, or on Facebook at his personal fitness page.